Welcome to Dogo Onsen. This is one of the oldest hot spring areas in Japan (along with Arima Onsen in Kobe) and frequented by famous Japanese artists and the nobility since the 6th Century. 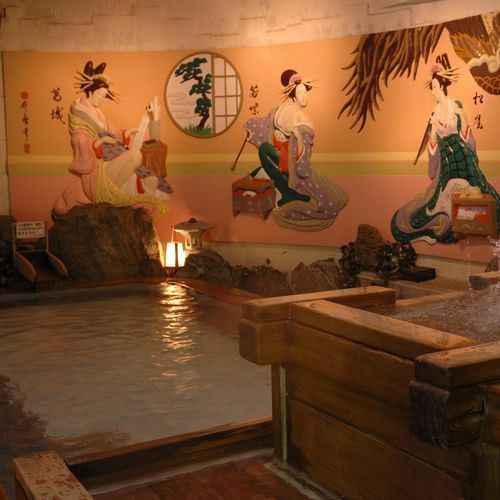 The main hot spring bath is the Dogo Onsen Honkan, and it has been in service for over 100 years. 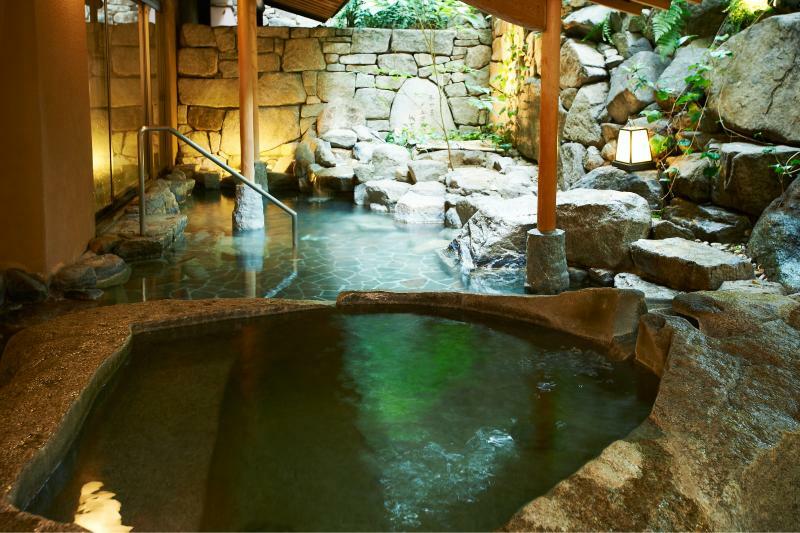 It is the only bath in Japan that has a special section for the Imperial Family. 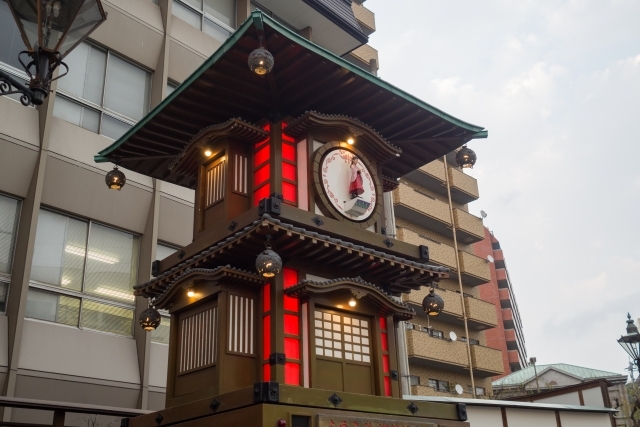 The top of the main building is decorated with the legendary white heron and a large bell is rung at 6:30 every morning to announce the opening of the bath. Two of the main baths, Tamanoyu (Water of Spirit), and Kaminoyu (Water of God), are situated in this building. Tsubakinoyu (Water of Camellia) is in a newer building about one block away. Nearby Matsuyama Castle is a fine example of Edo architecture with pleasant gardens and parks surrounding it. Welcome to Yamatoya Besso. 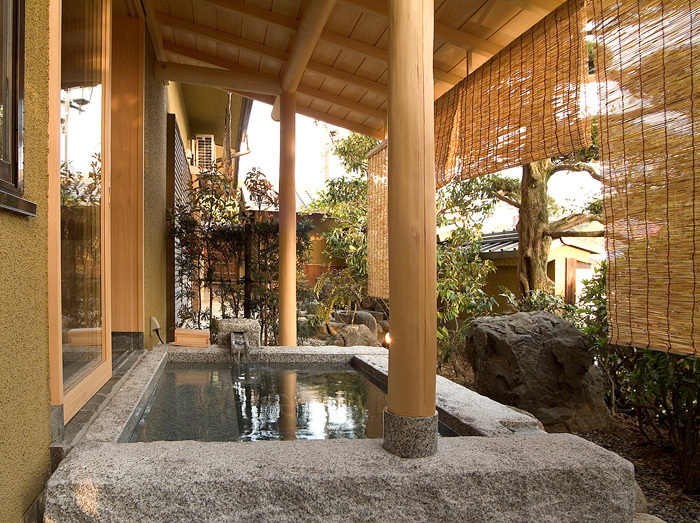 This Luxurious Ryokan is located in Dogo Onsen which is one of the oldest Onsen area in Japan. 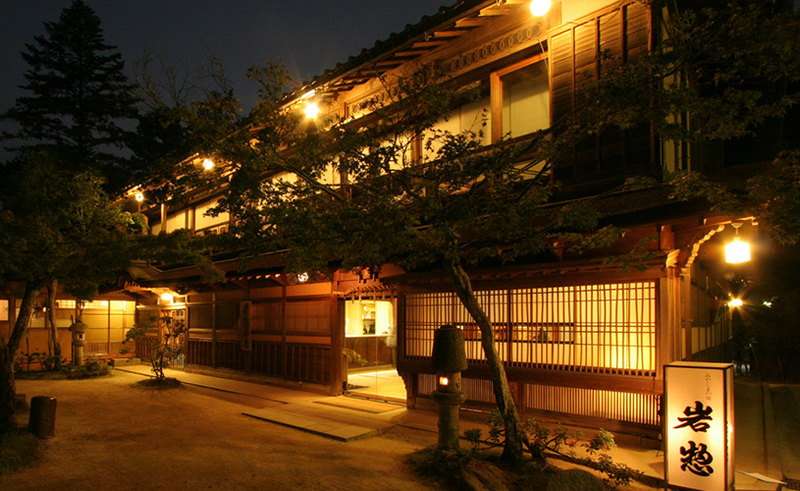 With a 140 years history, this ryokan was rebuilt in 1988 as a refined luxurious Japanese inn. The rooms preserve the integrity of the past, and you can enjoy the changing season from your guest room. Also you can taste wonderful fresh food from Seto Inland Sea. 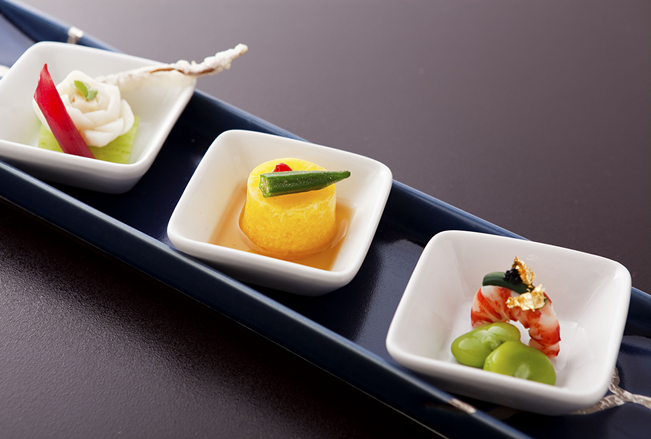 The service, the decoration and the kaiseki meals of this Yamatoyabesso will make you have a lovely stay. Welcome to Dogo Onsen Yamatoya Honten. 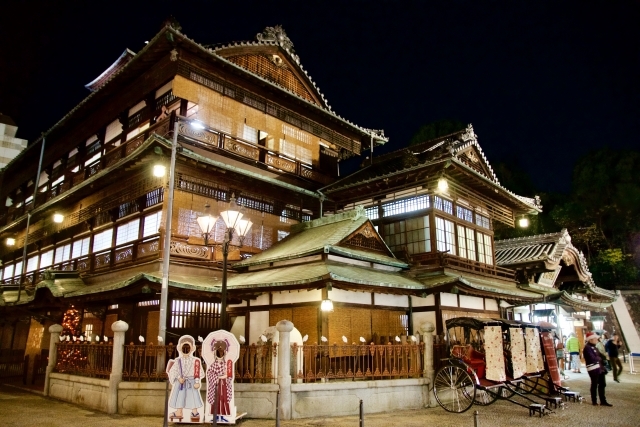 Dogo Onsen Yamatoya Honten was built in a traditional mode of Japanese architectural style and inside, you can see and feel the Japan's beautiful culture and tradition. 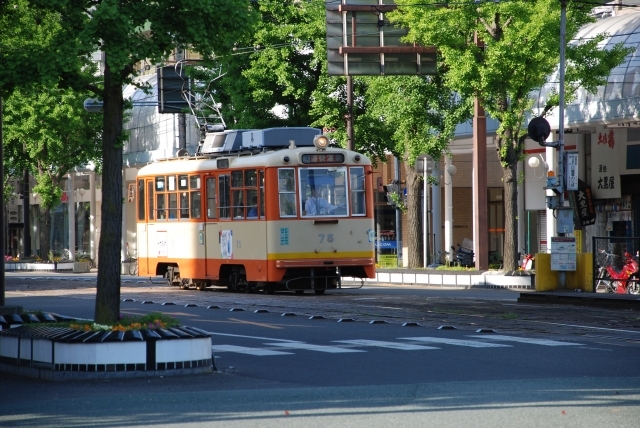 You can enjoy Japanese dishes and hot spring baths. Welcome to the Dogo Prince Hotel. 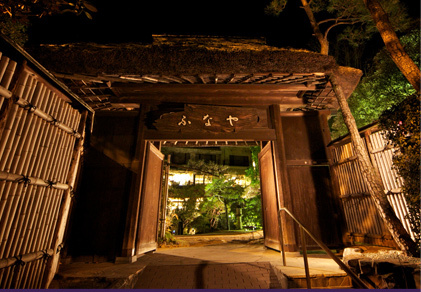 This Ryokan Hotel offers all the comfort of a modern establishment plus hot spring baths. There are 123 rooms are the Dogo Prince Hotel. Welcome to Chaharu. 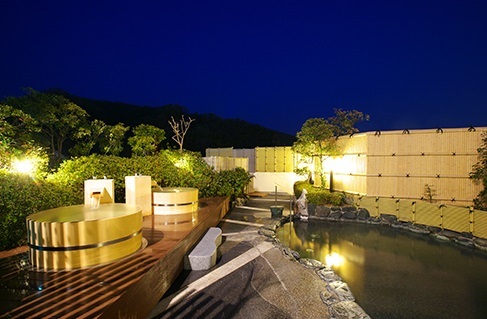 This ryokan hotel has a great open air bath on the top floor, with a wide view of the city. Chaharu mainly serves seafood. There are 73 guest's rooms.